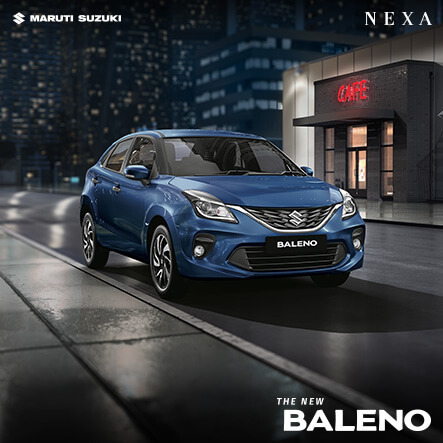 Kalyani Motors opened it’s 1st NEXA showroom at Bangalore on 30th July in the year of 2015 with state-of-the-art facilities and offering world-class ambience to customers of the silicon city. The showroom was inaugurated by Mr. T. Hashimoto & Mr. R. S. Kalsi, Executive Director, Maruti Suzuki India Ltd.
A new passionate and a dedicated team has been set up to make the path smooth for the customers to experience a long & real time relationship. 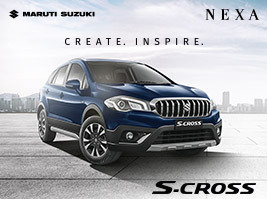 The showroom showcases Maruti’s premium cars such as Baleno & S-Cross in almost every color. Our team of zealous individuals is always available to provide a lifetime experience with the help of innovative technology to our customers in turn forming a strong relationship with them. 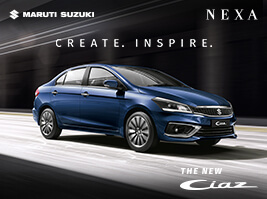 These new experiences are premium, elegant, dynamic and customised around the most discerning customers in the world. Kalyani Group of Companies has benchmarked the year 2006 when it opened Kalyani Motors in Bengaluru initially. The courage, conviction, visionary foresight and business acumen of Late Sri S. Anantha Raju played a pivotal role in forging a fruitful and successful relationship with Maruti Suzuki, the company that has revolutionised the automobile industry in India. Kalyani Motors has a team of over 3000 employees, with nearly 350 sales personnel and 550 technical force, and has sold more than 73,000 cars within a short span of 10 years, carrying the legacy of the Kalyani Group to the next level. Kalyani Motors has now grown big and has successfully created a strong presence with 11 state-of-the-art showrooms, 10 service centres, 5 True Value outlets, 11 Body shops, 2 Maruti Driving Schools, and they recently entered into the premium segment by opening the Nexa outlet in a posh locality of Bengaluru. We have recently launched Nexa Showroom at Hyderabad to provide a state-of-the-art facility at Hyderabad also. Under the leadership and guidance of Mr. A Mohan Raju who took on the mantle of carrying forward the legacy established by his father. 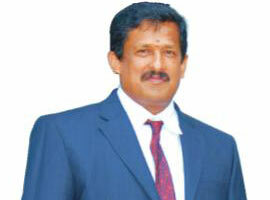 Kalyani Motors has many firsts and achievements to its credit. 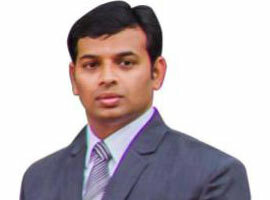 He has behind him 15 years of rich experience in the insurance as well as automotive sector, along with an important previous exposure of working with Maruti Suzuki India Ltd. Wonderful experience with Kalyani Nexa team. They kept the promised date of delivery of my Baleno car. Very nice and courteous sales team. A special thanks to Kavan Devaiah. Nice and friendly person. Always with a smile on his face. Keep up the spirit. Overall Showroom Experience was very good, right from booking to car delivery. The documentation was very simple and went on very smooth. I would like to thank Santosh and team for making this happen. 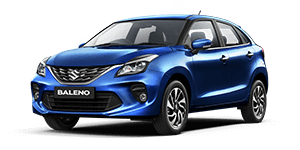 If Baleno is your dream car, this is the place to go..! I had a wonderful buying experience with Kalyani Nexa and Kavan is a gentleman and is the best Relationship Manager whom I’ve met till date. This is the kind of customer experience, customers look for. Thanks for your sincere effort and keep up the high standard always. The best people produce the best product. That's why Kalyani Motors is constantly on a lookout for bright, ambitious team players who have a strong commitment to drive the company forward. We invite you to follow your own dream & explore the career opportunities with Kalyani Motors.